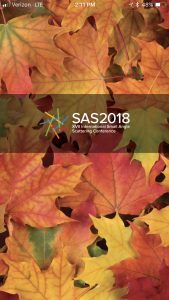 For the SAS2018 Conference, all materials, including the agenda, presenters and a number of other valuable features, are available via a mobile app called AttendeeHub by CrowdCompass. 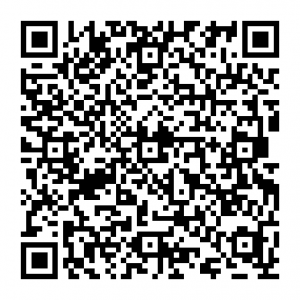 Download the app on your mobile device using the instructions below so you have the information you need at the conference. If you have any questions or issues, please send email to Lynnean Celmer <lcelmer@anl.gov>. 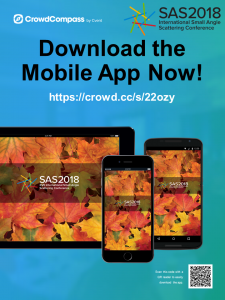 Within the CrowdCompass application, you can view the full conference schedule by scientific symposia, or by speaker (called session in the app). You can also build your own schedule of events, create custom events and invite others. All of you are invited to be the judges for our poster and oral presentation prizes by rating any of the presentations or posters you attend using the CrowdCompass “ratings” feature (one to five stars). We invite you to upload photos to the CrowdCompass app to share with the rest of the conference.